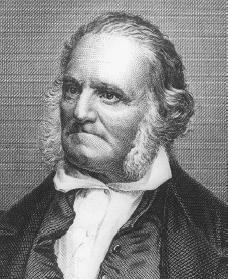 American artist and ornithologist (one who studies birds) John James Audubon was a leading natural history artist who made drawings of birds directly from nature. He is mainly remembered for his Birds of America series. John James Audubon was born in Saint Dominigue (now Haiti) on April 26, 1785. He was the son of Jean Audubon, a French adventurer, and Mademoiselle Rabin, about whom little is known except that she was a Creole and died soon after her son's birth. Audubon was an illegitimate child, meaning that his father was not married to his mother. Audubon's father had made his fortune in San Domingo as a merchant, a planter, and a dealer of slaves. In 1789 Audubon went with his father and a half sister to France, where they joined his father's wife. Their father and his wife adopted the children in 1794. Audubon's education was arranged by his father. He was sent to a nearby school and was tutored in mathematics, geography, drawing, music, and fencing. According to Audubon's own account, he had no interest in school, preferring instead to fish, hunt, and explore the outdoors. He was left with his stepmother most of the time while his father served as a naval officer. Audubon became a spoiled, stubborn youth who managed to resist all efforts to both educate him and keep him under control. When residence at a naval base under his father's direct supervision failed to have any effect, he was sent briefly to Paris to study art, but he disliked that also. Audubon's father decided to send his son to America, where he owned a farm near Philadelphia, Pennsylvania. At first the boy lived with friends of his father. They tried to teach him English and other things, but after a time he demanded to live on his father's farm. There Audubon continued living the life of a country gentleman—fishing, shooting, and developing his skill at drawing birds, the only occupation to which he was ever willing to give effort. When Audubon began his work in the early nineteenth century, there was no such profession as a "naturalist" in America. The men who engaged in natural history investigations came from all walks of life and paid for their work—collecting, writing, and publication—from their own resources. Audubon developed a system of inserting wires into the bodies of freshly killed birds in order to move them into natural poses for his sketches. In 1805 Audubon returned briefly to France after a long battle with his father's business agent in America. While in France he formed a business partnership with Ferdinand Rozier, the son of one of his father's associates. Together the two returned to America and tried to operate a lead mine on the farm. Then in August 1807 the partners decided to move west. There followed a series of business failures in various cities in Kentucky, caused largely by Audubon's preference for roaming the woods rather than keeping the store. During this period he married Lucy Bakewell. After the failures with Rozier, Audubon, in association with his brother-in-law, Thomas Bakewell, and others, attempted to start several more businesses, the last being a lumber mill in Henderson, Kentucky. In 1819 this venture failed and Audubon was left with only the clothes on his back, his gun, and his drawings. This disaster ended his business career. For a time Audubon made crayon portraits (drawings of individual people) for $5 per portrait. Then he moved to Cincinnati, Ohio, where he became a taxidermist (one who stuffs and mounts the skins of animals) in the Western Museum that had been recently founded by Dr. Daniel Drake. In 1820 the possibility of publishing his bird drawings occurred to him. He set out down the Ohio and Mississippi rivers, exploring the country for new birds and paying his expenses by painting portraits. For a while he supported himself in New Orleans by tutoring and painting. His wife also worked as a tutor and later opened a school for girls. She became the family's main financial support while Audubon focused on publishing his drawings. In 1824 Audubon went to Philadelphia to seek a publisher. He met with opposition, however, from the friends of Alexander Wilson (1766–1813), the other major American ornithologist with whom Audubon had begun a bitter rivalry in 1810. He finally decided to raise the money for a trip to Europe, where he felt he would find greater interest in his drawings. He arrived in Liverpool, England, in 1826, then moved on to Edinburgh, Scotland, and to London, England, signing up subscribers for his volumes in each city. Audubon finally reached an agreement with a London publisher, and in 1827 volumes of Birds of America began to appear. It took eleven years in all for the publication and reprintings of all the volumes. The success of Audubon's bird drawings brought him immediate fame, and by 1831 he was considered the leading naturalist of his country, despite the fact that he possessed no formal scientific training. There was an intense popular interest in the marvels of nature during this era. Anyone who could capture the natural beauty of wild specimens was certain to take his place among the front ranks of those recognized as "men of science." Audubon had succeeded in giving the world the first great collection of American birds, drawn in their natural habitats as close to nature as possible. With his great work finally finished in 1838, and the Ornithological Biography (a text-only book about birds) in publication, Audubon returned to America to prepare a "miniature" edition. He also began drawings for a new book (in collaboration with John Bachman), Viviparous Quadrupeds of North America, for which his sons contributed many of the drawings. In 1841 Audubon bought an estate on the Hudson River and settled down to advise and encourage young scientists. It was during this period that the romantic picture of Audubon as the "American Woodsman," the great lover of birds, began to emerge. After several years of illness, Audubon suffered a slight stroke in January 1851, followed by partial paralysis and great pain. Audubon died on January 27, 1851. Blaugrund, Annette. John James Audubon. New York: Abrams, 1999. Burroughs, John. John James Audubon. Woodstock, NY: Overlook Press, 1987. Ford, Alice. John James Audubon: A Biography. Rev. ed. New York: Abbeville Press, 1988. Thank you for such an informative article. I work for the Audubon Society of Rhode Island Environmental Education Center and needed to know something more than what I had of Audubon's life to share with our visitors. How can I get more information on the biography of John James Audubon, about his wife ,how many children he had areThey still living? Or grandchildren, did they also do panting ? Did his family ever lived in California? I came across an oil panting on canvas about 20yrs. Ago of the "Louisiana Heron" it's on beautiful gold frame about 35 by 31 but the Lady I got it from died, she had it for years, I would like to sell it but it's so beautiful that I hate to part with it. Maybe I'll give it to my Grandchildren. I just wanted to know more on Mr. Audubon. Would appreciated if I can read more on John James Audubon. Thank You ! How do we know that Jeanne Rabin was creole? Most biographical sources simply say she was a chambermaid from the south of France and extremely beautiful. Hello,I am a 5th grade student and I would like to know the author and the last updated;date as soon as possible(ASAP)please and thank you.